“I don't believe in the luck factor. I believe in seeking, exploring and hard work. 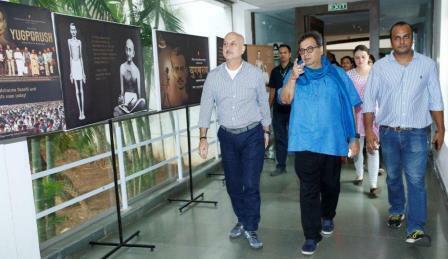 It is only practice, persuasion and preservation that enables an ordinary person to become an extraordinary man”, emphasised Anupam Kher, a legendary actor of India with over 500 films in 35 years to his credit, at the inauguration of the sixth season of the 5th Veda cultural hub with about 600 students attending the acting workshop held at the Whistling Woods International (WWI) campus. “You too can become extraordinary only when you really work extra hard and differently from others and leave your audience surprised”, said the renowned actor while sharing anecdotes from his journey in the film industry. 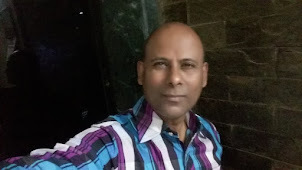 He shared stories about how he fought with Mahesh Bhatt to get the old man’s role in ‘Saaransh’ to how he became a star by getting an opportunity to play a pivotal role in Subhash Ghai’s film ‘Karma’. While on stage, during the interaction, Anupam Kher enacted a scene along with Subhash Ghai on how he got the role of Dr. Dang in the film. Subhash Ghai, Founder, and Chairman, WWI (Whistling Woods International) acknowledged Anupam Kher as a man with great sense of humor and wealth of knowledge about cinema and life, while simultaneously possessing a warm child-like personality. During the interaction with Subhash Ghai a FTII pass out who aspired to become an actor, but luck had something else stored for him pointed out, “Most children belonging to small town grow up with imaginations, while children in cities grow with targets and calculations. That’s why most of the finest artist have their roots grounded in small towns of India.” He even shared some great quotes of wisdom by his father, which he followed religiously and in turn enabled him to attain greater success in life. He then spoke about the three illustrious years he spent at the National School of Drama, from where he graduated and won a gold medal. He taught the students how breathing techniques play an important role in defining an actor’s voice. He also shared that yoga and meditation are the most important elements in an actor’s life in order to have a control on his body, mind, and soul. On being questioned by a student about the secret behind his success, Anupam Kher revealed, “I don’t take myself seriously and that is my biggest strength.” The talented actor also stressed the importance of having a command on the language, be it in a play or onscreen. He encouraged the students to be able to read and speak in Hindi to be an actor in the Hindi language films, plays, and television. 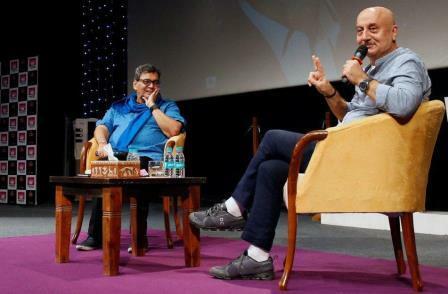 The interaction was followed by a Q&A session with acting students with a strength of more than 80 students at WWI, and Anupam Kher patiently answered every question with examples and stories from his life experiences. Whistling Woods International (WWI) is a Film, Television, Animation, Communication, Fashion, Music and Media Arts institute located in Mumbai, India. Founded by one of India’s leading filmmakers – Subhash Ghai, WWI is one of Asia’s largest Film, Communication & Media Arts Institute. The Hollywood Reporter’ has rated WWI as one of the Ten Best Film Schools in the world in 2014, 2013 & 2010. The campus is located inside Mumbai’s film & television production hub ‘Filmcity’, and offers courses that vary in duration from 1 year to 3 years. All the major specializations of the Media & Entertainment industry are catered to, including Acting, Animation, Cinematography, Direction, Editing, Producing, Music, Screenwriting, Sound, Visual Effects, Media Management Studies, Visual Communication and Fashion Design. Degree and diploma courses offered as accredited to The Tata Institute of Social Sciences (TISS).